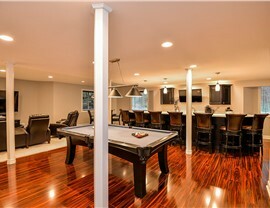 Get the most out of your home’s basement with our custom products and guaranteed remodeling services! Remodeling your basement can seem like an overwhelming project, especially when you are starting with a dark, dreary, damp space. 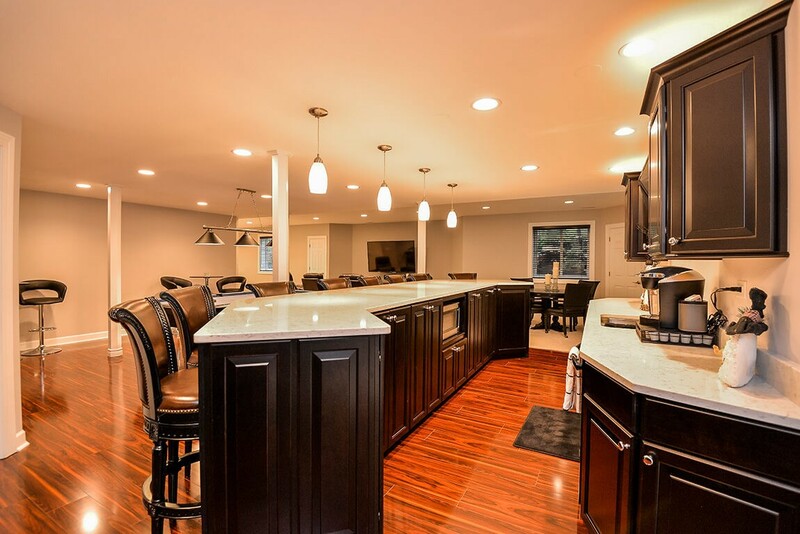 Whether you want to turn your basement into a family room or add a kitchen or bathroom, Matrix Basement Systems makes the entire process of basement remodeling in Hinsdale, IL a breeze. Since 2009, our professional crew has helped transform over 3,000 basements into stylish and functional rooms of the house, and we offer the high-quality products that you need at a price that fits within your budget. The basement contractors at Matrix Basement Systems are committed to offering superior remodeling solutions that deliver customized, long-lasting results. 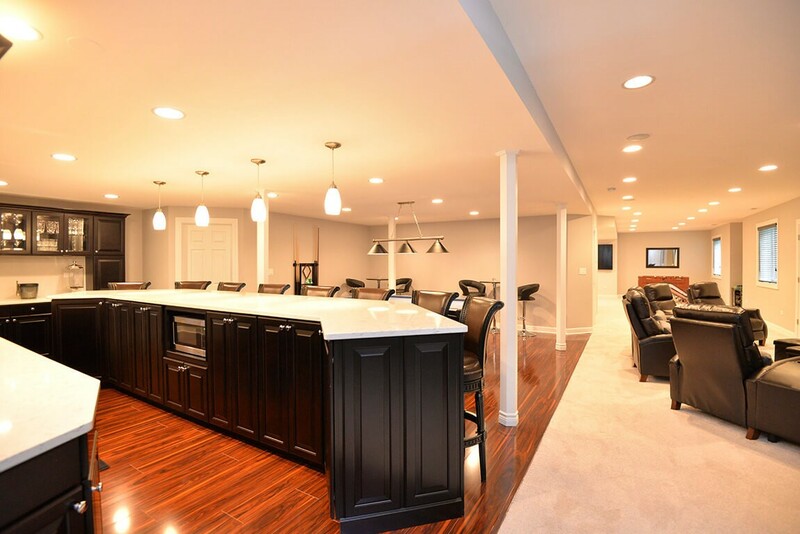 To begin the process, you’ll meet with our team to go over your basement remodeling ideas, and we’ll get to work fast to ensure that your basement finishing project is completely on-budget and within your timeline. 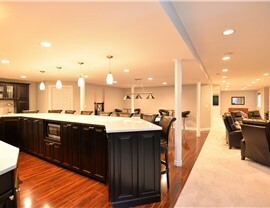 Professional Basement Finishing: Whether you want a space for entertaining or a functional kitchen or bath, we can transform your bathroom into your favorite room of the house quickly and affordably. Top-to-Bottom Renovations: We offer products for egress window installation, new floors, and durable basement walls to give you the lifetime strength, style, and protection that you deserve. 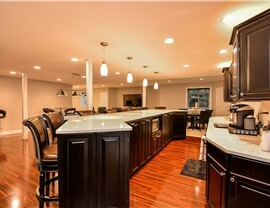 Experienced Basement Contractors: All of our basement remodelers are fully trained and experienced with remodels of all sizes, and we’re proud to be the recipient of several industry awards and accolades. 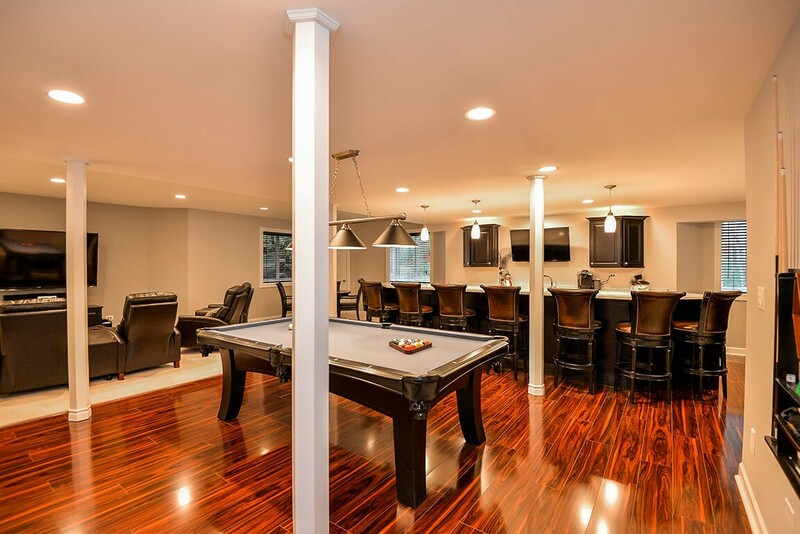 When you’re looking for a basement remodeling company in Chicago that puts your needs first, there is only one name that you need to know for guaranteed results and exceptional service—Matrix Basement Systems. Give us a call today or fill out our online form to request more information, and we’ll get you set-up with an appointment for a free, in-home estimate and consultation!